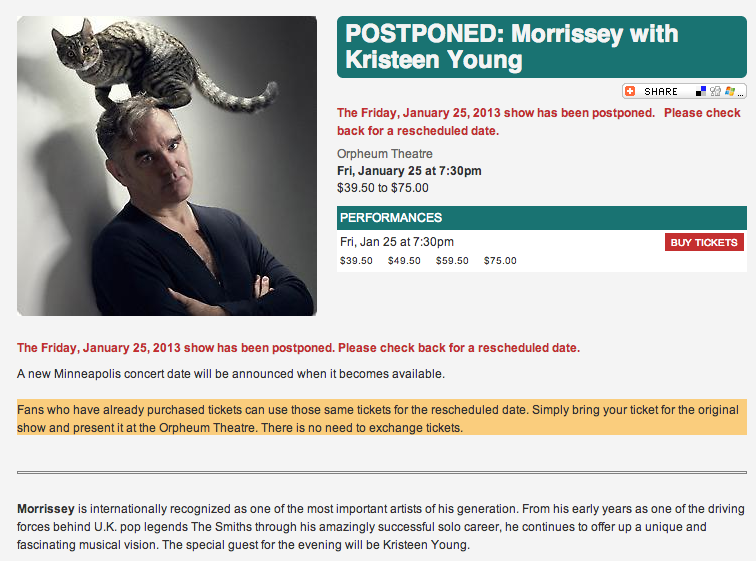 Elaborate plans to see Morrissey TWICE and he cancelled again. This was communicated the morning of the event. I had just gotten a call about dinner reservations for the evening and confirmed I was coming. Then I got this email. I’m getting my money back, not going for the second reschedule (and possibly third cancel).